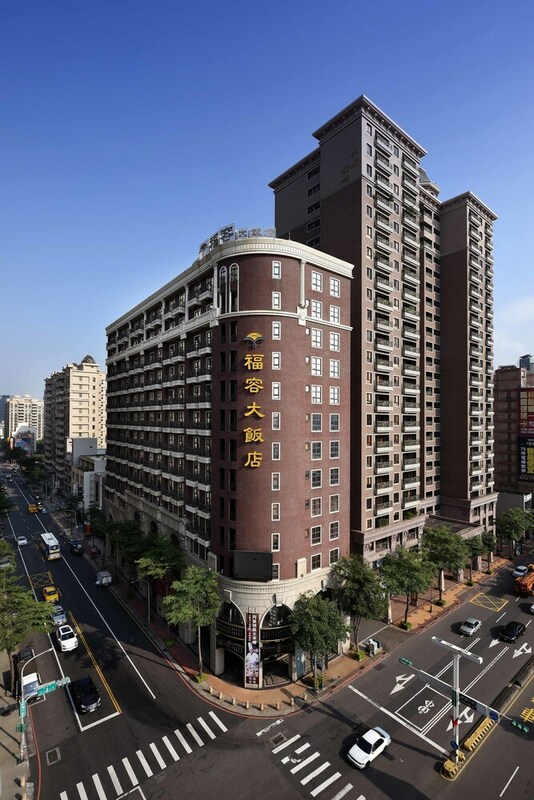 Located in Taoyuan City Centre, this luxury hotel is within 2 mi (3 km) of Taoyuan Night Market, Taoyuan Chinese Furniture Museum, and Taoyuan Shrine. Kimlan Foods Museum and The Jiangs Cultural Park are also within 3 mi (5 km). Taoyuan Boshan Station is 23 minutes by foot. Along with a restaurant, this smoke-free hotel has an outdoor pool and a fitness center. Free WiFi in public areas and free self parking are also provided. Other amenities include a sauna, a business center, and conference space. All 182 rooms provide free WiFi and free wired Internet, flat-screen TVs with satellite channels, and conveniences like washers/dryers and refrigerators. Minibars, coffee makers, and free newspapers are among the other amenities available to guests. In addition to an outdoor pool, Fullon Hotel Taoyuan provides a sauna and a fitness center. The hotel offers a restaurant. Business-related amenities at this 4.5-star property consist of a business center and a meeting room. Wireless Internet access is complimentary. This luxury hotel also offers tour/ticket assistance, multilingual staff, and concierge services. Complimentary self parking is available on site. Fullon Hotel Taoyuan is a smoke-free property. Fullon Hotel Taoyuan has a restaurant on site. Cribs (infant beds) are available for TWD 400 per stay.